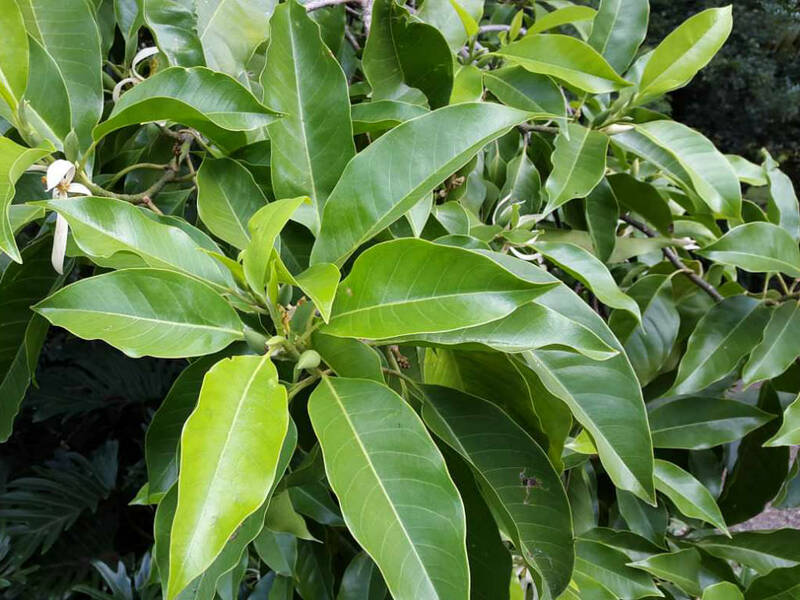 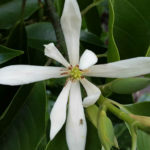 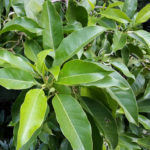 Magnolia x alba is a fast growing, medium-sized tree up to 100 feet (30 m) tall, with an upright habit and attractive, evergreen, lime-green leaves. 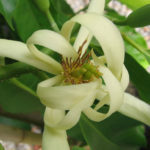 The lovely, orchid-like, highly fragrant, white flowers appear from mid spring through to autumn. 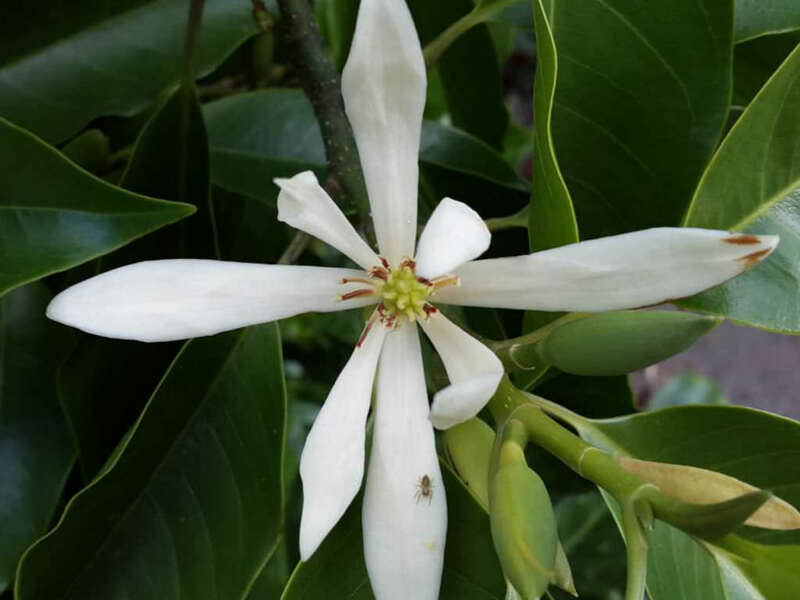 It is a flowering plant of hybrid origin that is commonly cultivated in southeast Asia and tropical regions of east Asia. 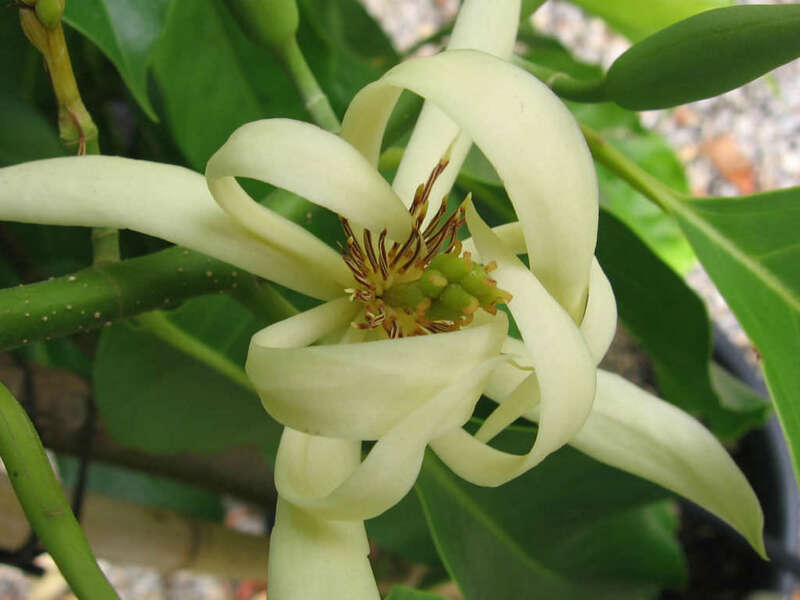 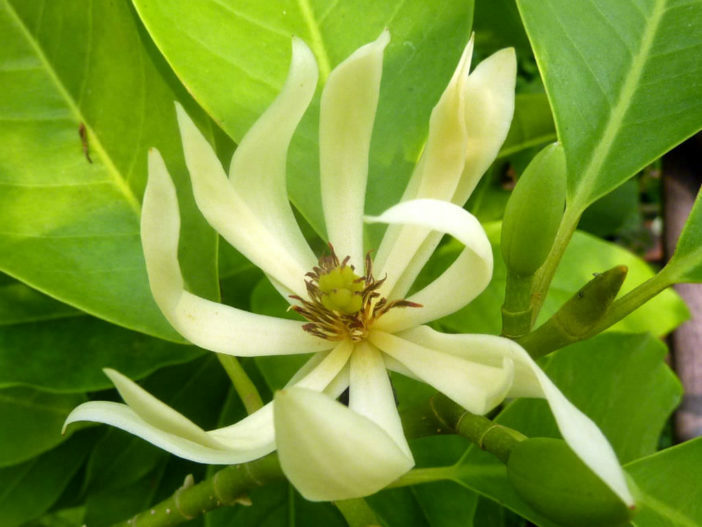 Although the exact origin is uncertain, it is considered to be a hybrid of Magnolia champaca and Magnolia montana.